Recently I decided to try out doing some Meet your neighbours field studio style photography. This involves photographing wild flora and fauna with a white background, in the field rather than indoors. 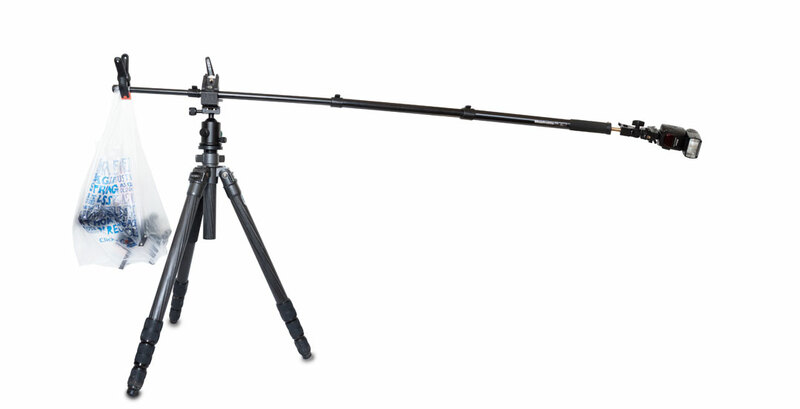 Part of the equipment needed for this is a tripod with a centre column that can be moved to any position, in effect the same as a boom arm. I have neither a boom arm or a tripod with a positionable centre column. So I decided to try making a boom arm using a monopod mounted horizontally on a tripod. The method is quite simple. A quick release plate is attached to a Super Clamp. This allows mounting the super clamp on the tripod head. Then the clamp can clamp onto the monopod to hold it horizontally. The monopod can be extended to adjust the boom length. And it can easily be rotated or tilted since the clamp is mounted on the ball head. On the other end of the monopod you need to hang a counterweight. In my case, I have a Manfrotto 037 stud for my super clamp. This is a male stud. So I had to remove the screw from the quick release plate, and then screw the plate onto the stud in the clamp. When I later tried to remove the plate from the stud, it was very difficult to remove. 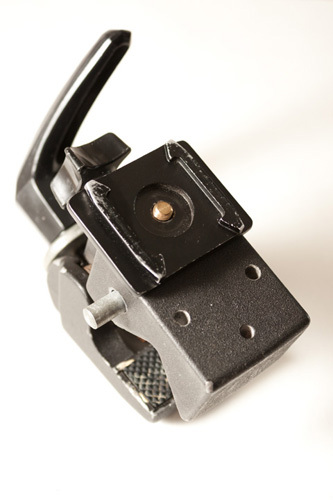 So I think using a Manfrotto 066 female stud in the super clamp and attaching the QR plate normally would be much better. A monopod is not designed to hold weight in this way. When I had the bottom end fully extended with the counterweight on it, I could see that that section was not straight with the rest of the monopod. Shortening the section (as in the photo) removed the problem. In conclusion, while this idea may work, I suspect that in most cases a real boom arm would be much better. I've ordered a relatively cheap one on eBay, so I'll see how it goes.